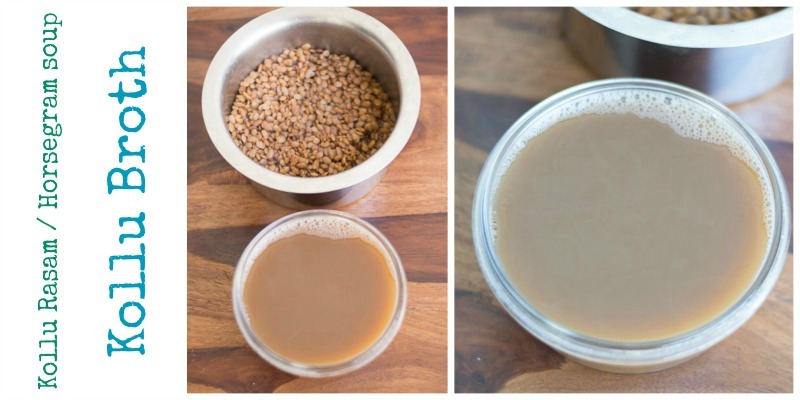 Kollu Rasam Recipe / Horsegram Soup / Ulavalu Rasam. Authentic Kongunad style kollu rasam recipe from Tamilnadu which is so comforting during a cold or cough. Horse gram also aids in weight loss. With step by step pictures. 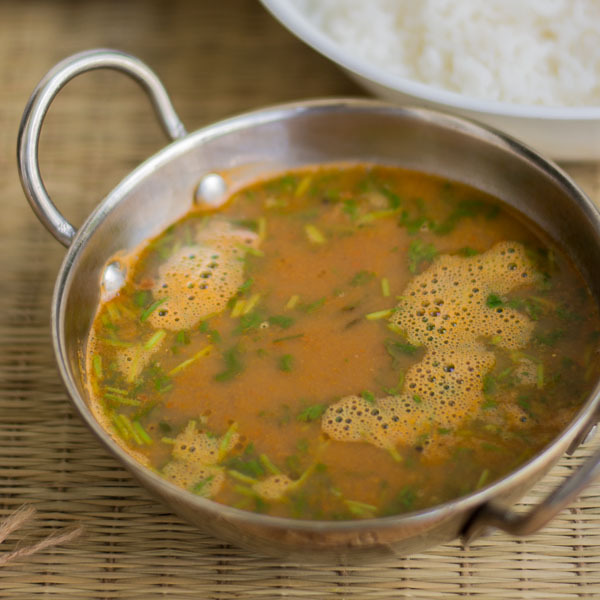 If you are down with severe cold, then this Kollu Rasam is what you need to be eating. It is so warm and comforting. It clears the throat and the sinus. Its really very refreshing. Horsegram also aids in weight loss. 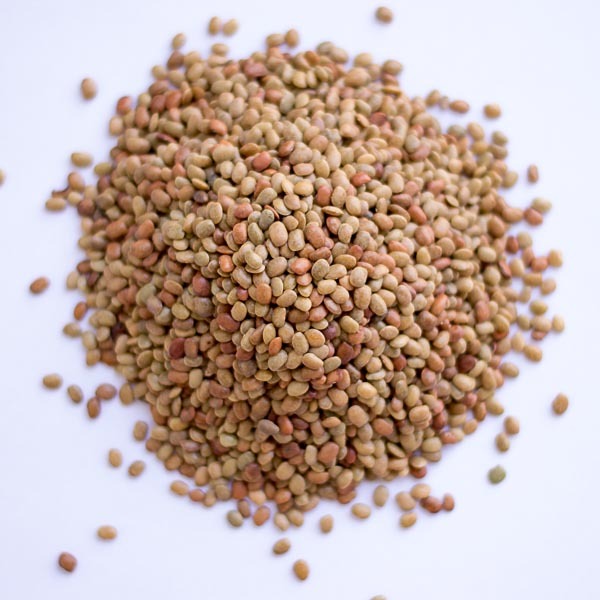 I have already shared the recipe for kollu pappu/horsegram lentil. You can know more about the amazing lentil there. This dish is a specialty of the kongunad region of Tamilnadu. I am from Coimbatore and I learnt this recipe from my aunt. Usually we make the rasam with the cooked water (broth) that’s left over after cooking the lentil when we make kollu pappu/dal. If you want to make this rasam alone, Boil 1/4 cup of horsegram with 2 cups of water in a pressure cooker for 10 minutes. Drain the water and set aside. Soak half a lime size tamarind in water for 15 minutes and make a puree out of it and set aside. Tamarind water gives the rasam that tang. Heat sesame oil in a pan and add pepper, cumin and garlic and saute till it starts to pop. Add in one medium chopped tomato. Add in the salt. Cook the tomatoes till they start to become semi dry. 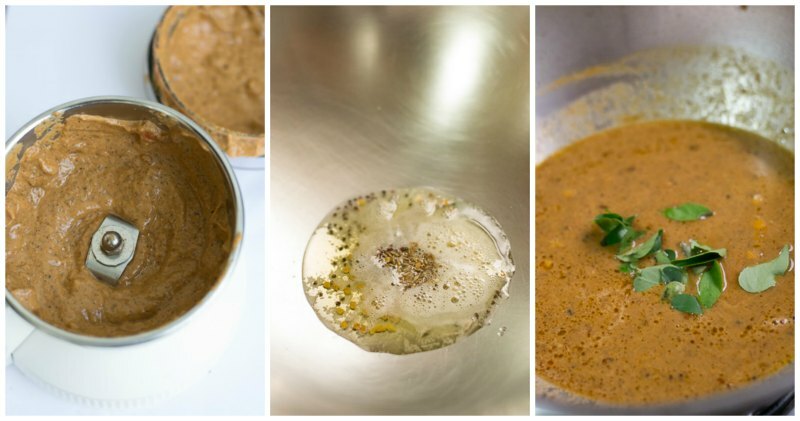 Add in 3-4 tablespoons of cooked horse gram and remove off heat. Don’t add more lentils or else the rasam might become very thick. Let this mixture cool and then grind to a smooth paste. 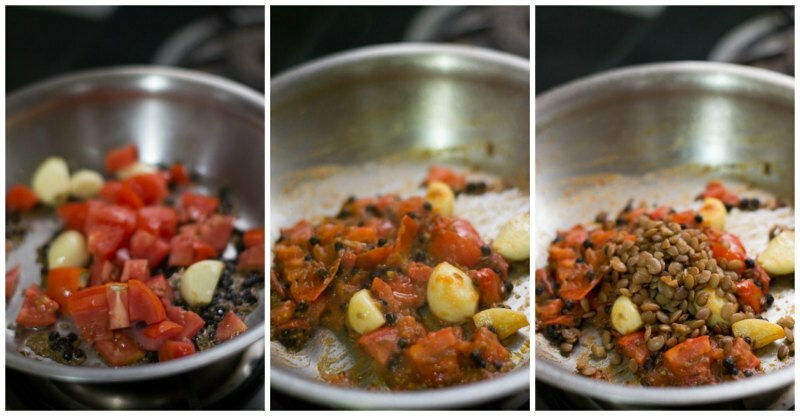 Heat oil in a pan and add mustard seeds, urad dal, fenugreek seeds and cumin. Let it pop. Add in the tamarind juice, the ground paste and the curry leaves. Let it simmer on low flame for 10 minutes. Add in the kollu/horsegram leftover lentil water. Cook for a couple of minutes more. Add in a small piece of jaggery and coriander leaves. Remove off heat. Serve hot with rice. If there is leftover rasam, strain it the next day in a mesh strainer and slightly heat it and serve as a nice warm broth. It tastes so yum the next day. Authentic Kongunad style kollu rasam recipe from Tamilnadu which is so comforting during a cold or cough. Horse gram also aids in weight loss. Boil ¼ cup of horsegram with 2 cups of water in a pressure cooker for 10 minutes. Drain the water and set aside. Add in one medium chopped tomato. Add in the salt. Cook the tomatoes till they start to become semi dry. Add in 3-4 tablespoons of cooked horsegram and remove off heat. Serve hot with rice. If there is leftover rasam, strain it next day in a mesh strainer and slightly heat it and serve as a nice warm broth. Super recipe for rainy & cold weather in Bay Area, CA. Thank you Ashok! Glad you liked it! Thank you. Really glad that you liked the recipe. I had a bit of cold today as it is snowing here in the UK. 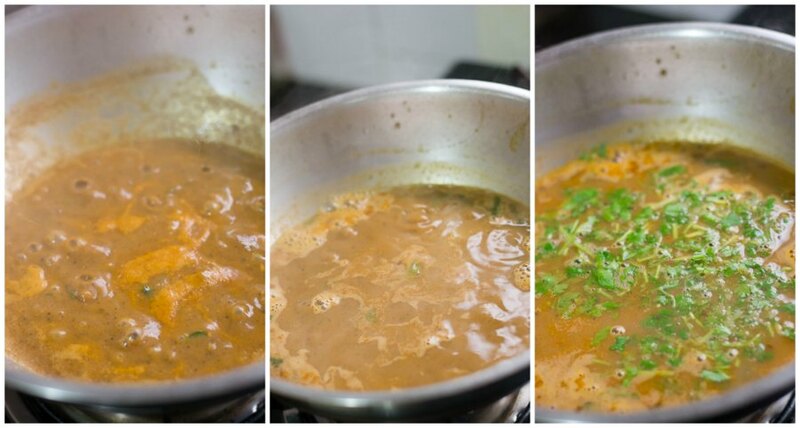 Thought of trying kollu rasam.. where else will I go for the recipe except for your site 🙂 It came out absolutely amazing and my mallu husband who has never tried it certainly loved it. Thank you so much Shony. Really glad that you liked the recipe. I tried this recipe for the first time. It was delicious, last year I made thenkuzhal following your recipe and it came out perfect. Your site is the first stop for me when I think about making authentic tamil dishes. Some time soon I want to try your biryani recipes 🙂 Thanks a lot. This recipe is a total hit in family and with friends! Excellent one…. Thank you so much. Happy you liked it. Wish you and your family a very happy new year 2018! Its only very recently I realised that the brown lentils were same horse gram (face palm moment)! Since then have been trying out all the kollu recipes in ur blog site… Make the thokku the other day and tried this rasam for lunch yesterday – as all the other recipes you share, this was also outstanding!!! The flavour and the combination of spices really worked well! Just a small query here, if I were to use the tamarind paste (also taken from your recipe) how much should be used for this rasam?? You can use a teaspoon of tamarind paste for this recipe. My grandmother used to do this kollu rasam and totally I forgot.so the first hit your recipe today worked wonders for me. 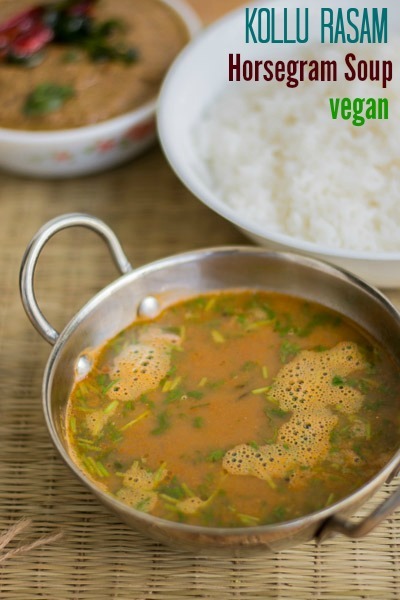 I tried this recipe and had it with Kollu Sundal, the rasam turned out truly amazing. Eating it made me feel alive and every mouthful was blissful. HI today tried your kollurasam and Vendaka porial. Came out very well thanks a lot for sharing the recipes. This came out really well! Thank you! Nice Recipe, We call this Horsegram as Hulge in Marathi. There is one simple receipe for cough and cold which is used traditionally. 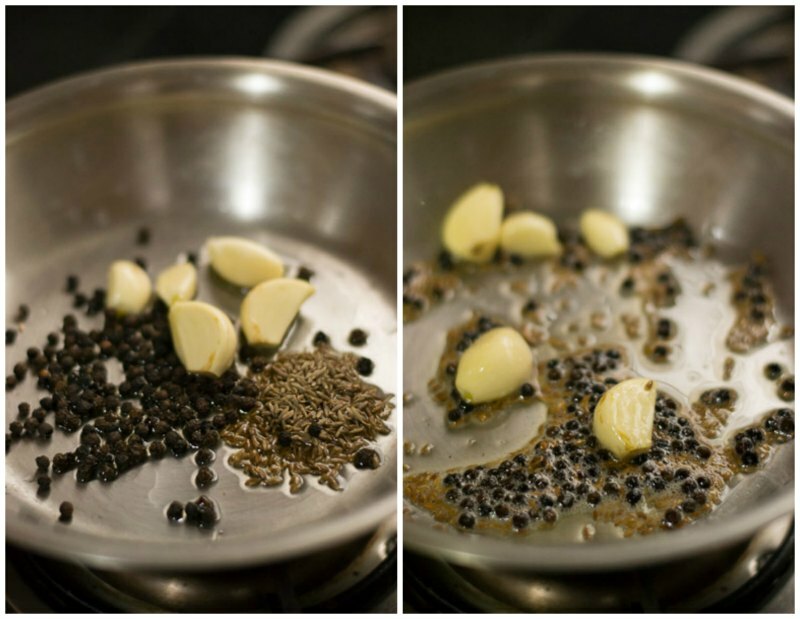 Simple roast the hulge in a pan, dont add any oil or water…just raost and then grid them to powder. Then boil water in a bowl and add some jaggery to it according to your taste, and then add the grounded horse gram powder and let it cook for sometime. The consistency should be like Ragi malt or kheer and drink it hot. It will create head in your body and help reduce old and cough without any medicines. Drink it once in morning and night. BTW, I tried appam last sunday according to your recipe and it was awesome. Just took details from you to prepare kollu rasam. Going to make today. I just found out about your site. I love South Indian food. My dad is from South Indian and my mom is from Malaysia. At present I am residing in Sweden. I am trying to cook most of your recipies but then I cannot get all the ingredients. Thanks Paulin. Isnt there an Indian store there? I tried both the kollu rasam and the masiyal and it was super duper yumm!! A definite hit at home!! Thanks for the lovely recipes!???? Thanks you so much Anitha. Wow, its very useful to me. Today my family members are went to function. 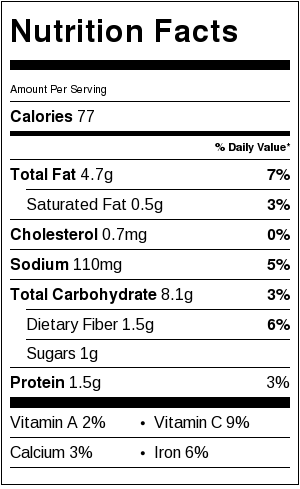 So i Worry about my breakfast. By this recipe detail with photos used me to complete my beautiful breakfast. And my Mother and father when return to home and they taste this recipe and they all are shocked for my cooking. Thats so nice Rajkumar. Your parents must have been so happy. Very nice receipe. It came out very well. My favourite Kollu paruppu n Kollu rasam. I love this. Posted Kollu paruppu recipe also?